With as many as 900 killed and tens of thousands of homes destroyed in Haiti, the devastation caused by Hurricane Matthew is becoming more clear as officials and aid workers are starting to reach remote areas. As the international community assesses the challenges before them, one thing is clear: Haiti needs our attention, prayers, and support ... not later, but right now. While many more people were killed in the quake, the damage across Haiti’s southern peninsula is catastrophic. Houses are leveled, schools and medical facilities severely damaged, crops and food stocks destroyed or lost. Thousands of Haitians now have to start from zero in a perilous situation. In Jeremie, the capital of Grand Anse Province, upwards of 80% of buildings are damaged or destroyed. 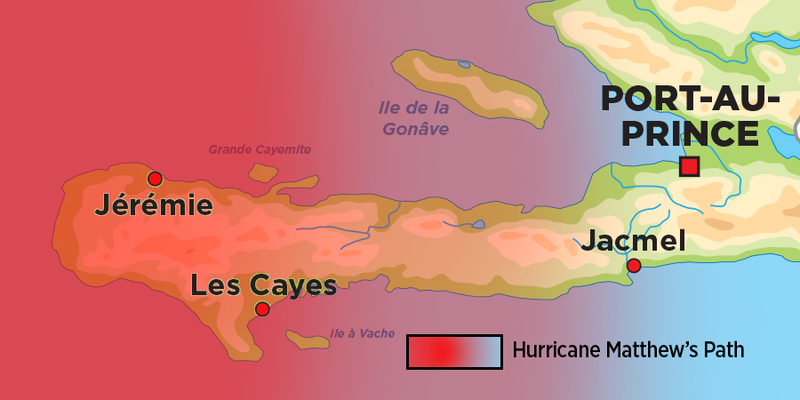 Les Cayes, the biggest city in South Province, also reports widespread damage. Crucially, thousands of small communities across the three southern provinces (South, Grand Anse and Nippes) have been devastated, and are most likely cut off from help. Some 1.4 million people are in urgent need of humanitarian aid, and the question remains: can it reach them in time? When the earthquake struck in 2010, it hit Haiti’s capital, meaning people in need were in a relatively compact area in and around Port-au-Prince. They were easy to reach with help. Hurricane Matthew, however, has devastated Haiti’s entire southern peninsula, home to more than 2 million people. Those in need of aid are spread out over many thousands of square miles (see map). Much of this area is mountainous terrain, with many isolated and hard to reach communities. Most roads in the affected areas were already in very poor repair, and they have been impassable since Hurricane Matthew. Reaching remote communities with lifesaving aid will be a major logistical challenge. Getting supplies to Port-au-Prince—Haiti’s only city with extensive transportation infrastructure—will be the first small step. It will be a much greater challenge to reach Jeremie, Les Cayes and other cities in the south, and many, many more difficult steps will be needed before help reaches all who need it. There is a major concern for the safety and security of increasingly frustrated and desperate people at distribution sites. Strong coordination with the United Nations and local police will help ensure aid safely reaches those most in need. The longer it takes for relief supplies to reach people, the higher the risk grows that diseases like cholera will spread. Clean water is in short supply, and poor sanitation can trigger and accelerate a full-blown cholera outbreak. Food stocks, and the crops needed to replenish them, have been completely destroyed in the affected departments—a critical loss for the entire country, as this is an important bread basket for Haiti. While there’s an urgent need for immediate food assistance, Haitians will also need long-term support to rebuild agricultural livelihoods. 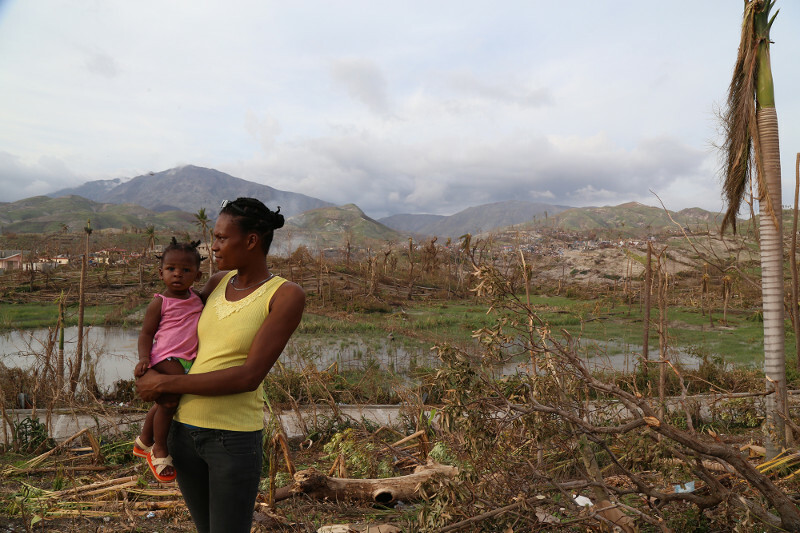 While Catholic Relief Services is proud of our 5-year relief and reconstruction program following Haiti’s 2010 earthquake, the aid operations of various agencies and organizations as a whole were widely criticized after the earthquake. Many humanitarian groups learned that to be effective, aid must be community focused, which has long been the CRS approach. The Catholic Church’s response to this hurricane will be crucial, as it is the only social welfare structure in many of Haiti’s storm-ravaged southern communities.